Horan Estates Class with A Glass ~ "Opposites Attract"
We are excited to offer our first "Class with a Glass" acrylic painting class in a series dedicated to our love of wine making and our family’s history within our valley. Class with a Glass artists will come to our new tasting room each month and lead us through the step by step process of creating a one of a kind, Horan Estates wine themed painting on a 12 x 16 inch canvas. No artistic experience is necessary! All you need to bring is an open mind, we’ll provide the rest. Our classes are geared toward a relaxing time of artistic fun, light food with wine or other beverages, and time with friends. At the end of the evening you take home your one of a kind creation! We are excited to share this evening with you as we celebrate our success over the past year and our plans for a bright future. Visit https://www.facebook.com/events/567459120442319/ for more information. Enjoy America’s favorite pastime in the Wenatchee Valley’s Paul Thomas Sr. Field. 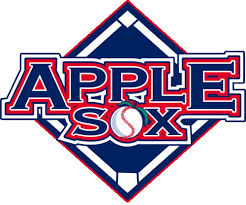 Have a glass of your favorite Horan Estates wine and watch the AppleSox play against the Port Angeles Lefties. Cheers! RLS Productions brings in top notch entertainment and the view is always spectacular at Ohme Gardens. Enjoy a summer evening each Thursday beginning, June 27 and ending August 1. 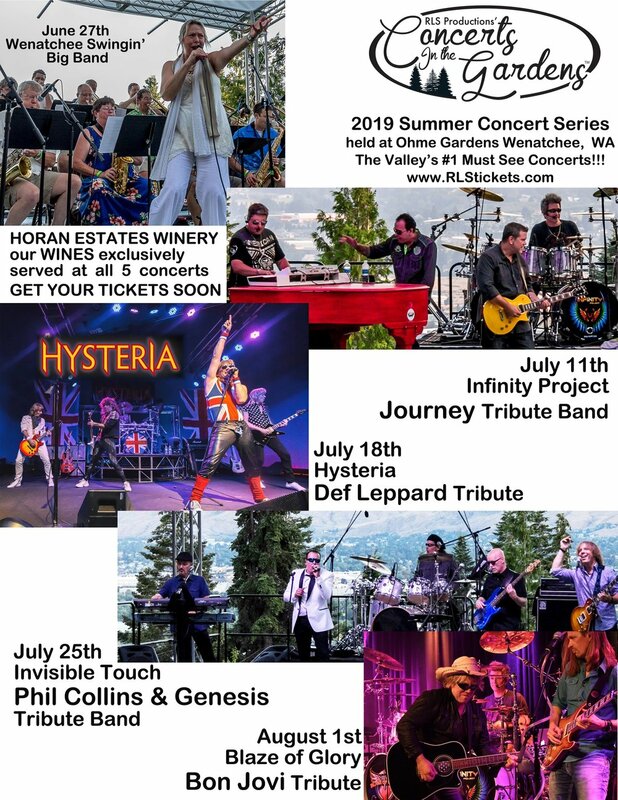 (Concert series skips July 4) This year's lineup: Wenatchee Swingin Big Band, The Infinity Project- A Tribute to Journey, Hysteria- Tribute to Def Leppard, Invisible Touch- A Tribute to Phil Collins & Genesis, and Blaze of Glory- A Tribute to Bon Jovi. How well can you spell without spell check? Test your ability in a team spelling competition to see how well you really know the English language. Form your own “hive” (team) of eight or come on your own to get to know new people in a unique setting. For those who always dreaded spelling tests, don’t worry—you can rely on your teammates at this event. Throughout the evening, you’ll also get to hear from Literacy Council students—adults who are taking free, small-group classes with volunteer tutors. Hear their stories of where they are from, what motivates them to learn English, and the impact it has had on their lives. Each $60 ticket includes dinner, one glass of wine or beer for those 21+, and entry into the spelling bee. Dessert will be auctioned off by table, and we’ll also have live and silent auctions for you to enjoy. A fun brewery/cider house, a relaxing coffeehouse, a speakeasy and a wine bar. Each features its own music, food and drinks. 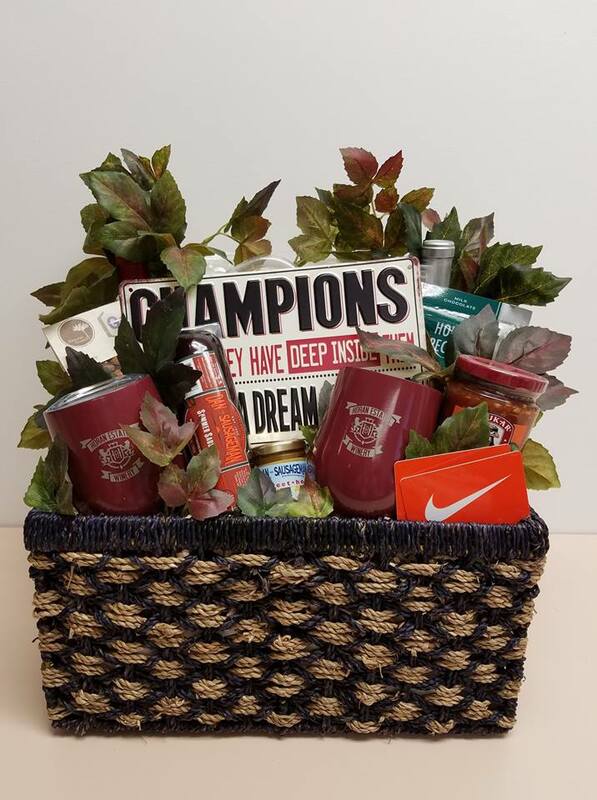 Saturday, March 23, 2019 from 6 – 9 p.m. EXPERIENCE TASTES OF THE REGION BY SAMPLING A VARIETY OF WINES, BEERS, CIDERS AND SPIRITS ALONG WITH TASTY MORSELS BY THE BEST CHEFS IN THE AREA. LISTEN TO LIVE MUSIC WHILE IMMERSING YOURSELF IN THE UNIQUE ATMOSPHERE OF THE MUSEUM. THIS FUN EVENING BENEFITS THE PROGRAMS AND SERVICES OF THE WENATCHEE VALLEY MUSEUM & CULTURAL CENTER. TASTINGS ARE INCLUDED IN THE TICKET PRICE OF $50 FOR MUSEUM MEMBERS, $60 FOR NON-MEMBERS. BOTTLES OF WINE, BEER AND SPIRITS WILL BE AVAILABLE FOR PURCHASE AND ALL SALES BENEFIT THE MUSEUM. In March each year, the Chamber holds a themed gala-style banquet to celebrate our valley’s businesses. Complete with lavishly decorated tables, online auction, silent auction, social hour and delicious food. It is our pleasure as Horan Estates Winery to be the bar sponsor for this great networking opportunity. The evenings program is highlighted by the celebration of local business award winners. To learn more contact the Chamber at info@wenatchee.org. My Girlfriend’s Closet PREVIEW PARTY TICKETS go on SALE THIS FRIDAY at UPS Stores at 8:30 am! Don’t Miss the 10th Anniversary of Wenatchee’s premier shopping event that gives so much back to the community! Tickets for the Thursday night preview are $40 and are LIMITED! Walk the red carpet and get first dibs on featured name brand Items while enjoying hors d’oeuvres by Ravenous Catering & wine from Horan Estates Winery! Free public shopping on Friday March 15, 9 am-7 pm, Saturday March 16, 9 am-7 pm, & Sunday March 17, 1 pm -3 pm. SAGE, the local domestic & sexual violence agency serving Chelan & Douglas counties, is hosting its 7th annual Enchanted Evening Gala on Saturday, March 9th at the Wenatchee Convention Center. The evening will consist of a silent & live auction, raffle games, dinner and more. Tickets include entry to the event, dinner and two drink tickets. Doors open 5 p.m. Please come sip with us as the Chamber of Commerce highlights our award winning wines. We will be pouring four wines for your palette pleasure. 2015 Bottoms-up Chardonnay, 2014 HVH Blend, 2014 Cabernet Sauvignon and our 2012 Reserve Syrah. Small bites will be provided by The Wenatchee Convention Center to add to this afternoon of sipping, mingling and indulging…If you have yet to experience Horan Estates Wines this is a great opportunity to become acquainted with us as we prepare to become part of Wenatchee’s amazing downtown. Meet owners and wine maker, Dennis and Beth Dobbs who will be happy to answer questions about their wine and new tasting room. 10.00 tasting fee applies and will be applied to bottle purchases through the Chamber. Cheers! Attend the 2019 Auction for the Animals and become a hero to the animals while enjoying a fun night out with friends! Tickets are just $65 and going fast. Get yours now! Thank you to our friends at After Hours Plumbing for being one of this years event sponsors. Celebrate Valentine’s Day and Indulge in the perfect combination of our award winning wines and a Chocolate Pot-de-Crème, handmade with love from The Hometown Kitchen. This rich, creamy chocolate custard topped with real whipped cream and drizzled with our 2012 Reserve Syrah reduction is perfectly paired with any of our eight available wines. A ten dollar tasting fee for this event will be waived with bottle purchase. 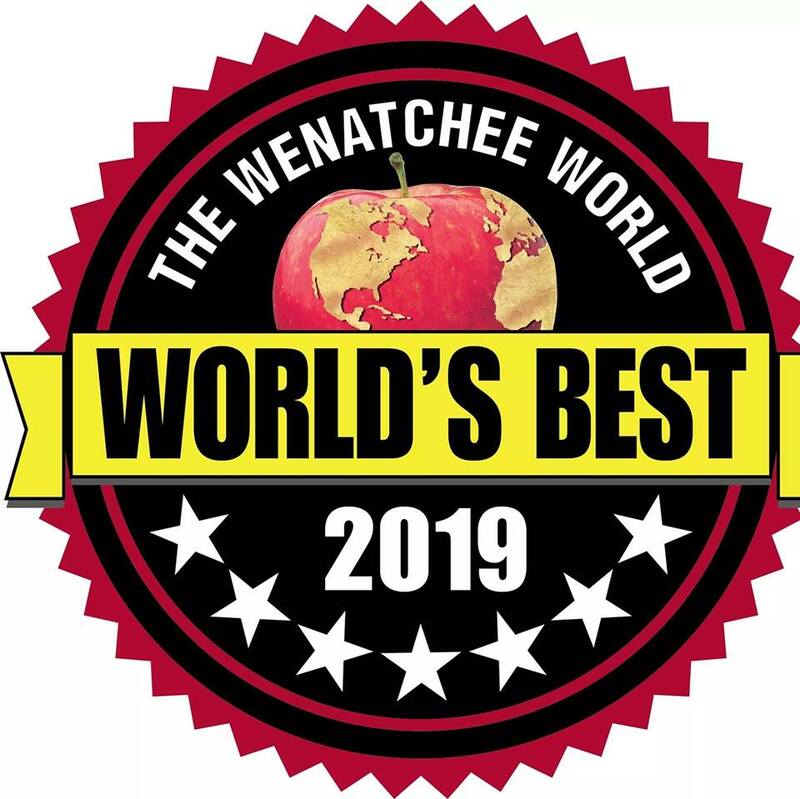 Horan Estates Winery invites you to vote for your favorite businesses in the Greater Wenatchee Valley. As a participant we would humbly ask for your vote in the “Best Winery” category. Simply click on the Vote Now button below and cast you vote for any or all of the candidates in over 90 categories. Best of luck to all of the World’s Best nominees!